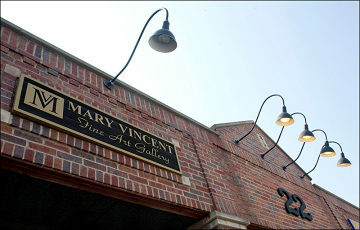 Mary Vincent Fine Art Gallery opened in 1995 in Westchester, IL and moved to the heart of downtown La Grange IL in 2000. 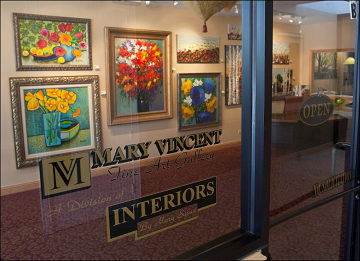 Our boutique gallery is located in the western suburbs of Chicago, about 12 miles from the city. Our gallery offers a variety of artwork including oil and acrylic paintings, black and white/color photography and limited edition prints. We feature both well established national and international artists along with some local talents, providing a selection for both residential and commercial projects. We pride ourselves on being able to find the right painting for your space and feature a diverse collection from traditional to contemporary. Our staff welcomes you to stop by or make an appointment. As a side note we are located on a street filled with wonderful restaurants. LaGrange is a great destination for art, food and other specialty shops.